As firms increasingly develop their own cryptocurrencies, Blockchain Expo brings their first ICOs & Cryptofinance conference track to Silicon Valley this fall. Following major ICOs in recent years, such as Bitcoin and Ether, many start-ups are entering the space with their own token sales. While they currently experience little regulation, many predict that this is to change as ICOs rise in popularity. Join industry experts at Blockchain Expo to learn about complying with regulation, future-proofing initial coin offerings, and successfully promoting an ICO to investors. Speakers will also discuss lessons from their coin offerings, from coin development and launch, through to post-launch. The ICO track comes as part of Blockchain Expo, the world’s largest blockchain exhibition and conference, coming to Santa Clara Convention Center on 29-30 November. Co-located with sister events IoT Expo and AI Expo, around 10,000 delegates are expected over the two days. Amongst the agenda is a panel discussing self-regulation, risks and challenges of ICOs, and tools for token sales, led by CEO of Fintech World, Sydney Armani. Alexander Ivanov, Founder of Waves, will deliver a keynote exploring the future of cryptocurrencies in an international trading environment. Marcello Monaco, COO of W3Coin, and Michael Terpin, Co-founder of BitAngels, are amongst the confirmed speakers to take to a panel to debate the changing venture capital model. 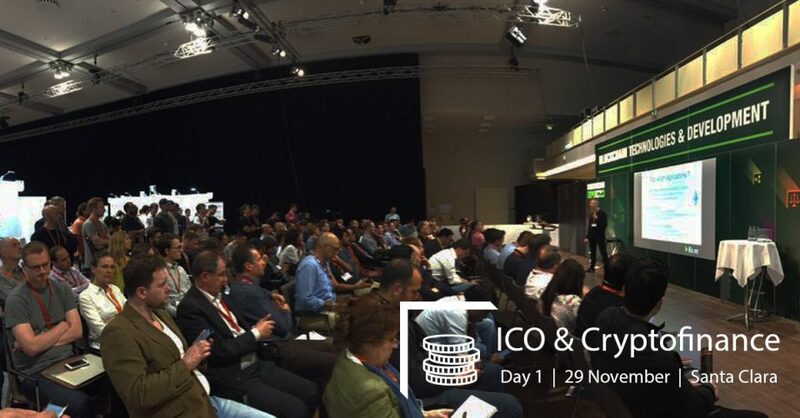 Delegates will also have the opportunity to attend ICO Pitches, featuring INS, Karma, ICON, Spectiv, and Starbase. The ICO track is available for delegates with a gold or ultimate pass. Read more about Blockchain Expo here. Illinois moves ahead with blockchain for healthcare initiative Trust will become a differentiator in the digital economy Blockchain Expo North America Exhibition announces expert speakers Blockchain North America Conference arrives in Silicon Valley next week!